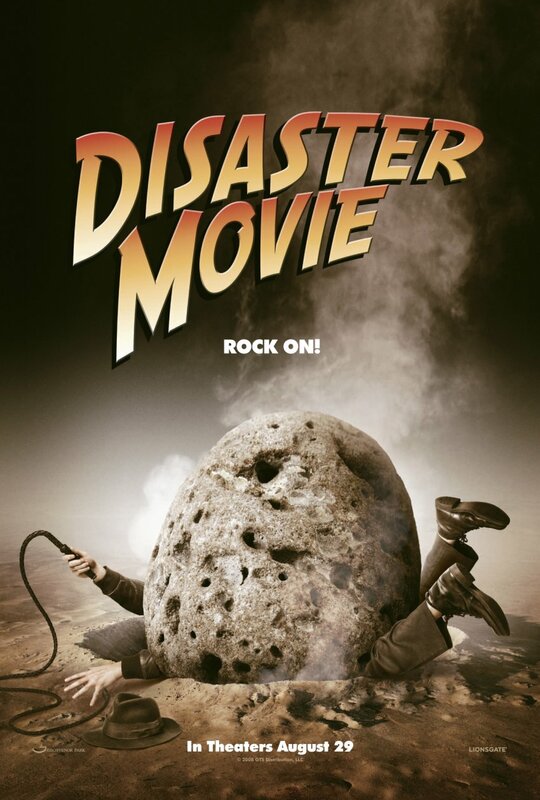 Disaster Movie is using the same type of poster campaign that Scary Movie 4 used. First a bunch of teaser posters, each mocking one particular movie/franchise. And later on we should get a final poster cramming a lot of parodies together. Say what you want about the quality of each individual poster, this still seems much better than just having the final poster. The chances of one of the teasers actually being funny and memorable is much bigger than the chances of the final being one of those things. And just the number of posters is enough to get some attention. It’s actually surprising they haven’t used this particular approach with more of the somethingsomething movies.